I just did a life lately post (albeit, mostly in photos) so this feels a tad redundant. But November has been a challenging month in so many ways. That's probably I indulged myself a lot recently (read: retail therapy) and why having a week off was very much needed. But I'm excited for all the plans and holidays to come in December and I have to say, I'm ready for a brand new month. Into the Bright Unknown by Rae Carson - 4 stars; I enjoyed the final book because I love Leah, Jefferson and their friends. But I'll admit there were moments when my interest wanted and felt the series would've worked better as a duology. Saint Anything by Sarah Dessen - 3 stars; When I'm in the mood for something reliably likable, I turn to Sarah Dessen. Sydney and the wonderful Chathams family were the best part of the book. I had major issues with her parents though and certain sub-plots felt unnecessary. 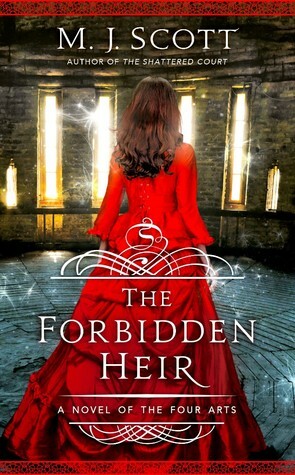 The Forbidden Heir (The Four Arts #2) by M.J. Scott - 4.25 stars; I stalked the release date of this book for two years so when it finally came out this month, I was elated! And not one bit disappointed. I enjoyed the world, the magic and most of all, the romance between Sophia and Cameron. Going Viral (Potion #3) by Amy Alward - 4.5 stars; This series continues to delight me and I usually don't even like witch books. But the magic, story and characters are so fun and lovable. I'm definitely looking forward to more from Alward! In Pieces by Danielle Pearl - 4.5 stars; Thank you Estelle for giving me this book! The chemistry was off-the-charts. 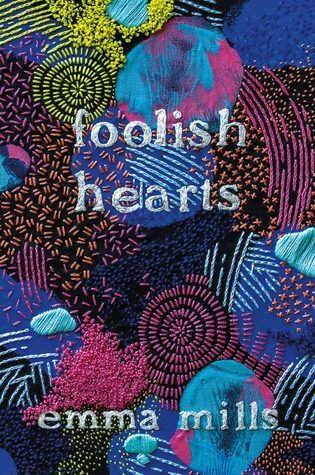 Seriously if you're in the mood for romance, this is a must-read. Trouble Is A Friend of Mine by Stephanie Tromly - 2.5 stars; I really wanted to look this book since it's got a Sherlock Holmes feel but I never clicked with the story or the characters. I'll admit it did make me laugh out loud a few times but that's about it. Too Beautiful to Break by Tessa Bailey - 1 star; I'm a Tessa Bailey fan and while I haven't loved every single one of her books, I'm usually entertained by them at the very least. But this one was just so bad. If it had been any other author, I would've DNF'ed. I read 4 fantasy books, which include: Into the Bright Unknown by Rae Carson, The Shattered Court by M.J. Scott, The Forbidden Heir by M.J. Scott, Going Viral by Amy Alward. And I just realized that I surpassed my goal! So far I've read 40 of the 35 books I planned to read.